The Bag Bolt is the only device you'll need to firmly secure your bag to any cart! YOU NO LONGER HAVE TO RELY ON THE CART STRAP! 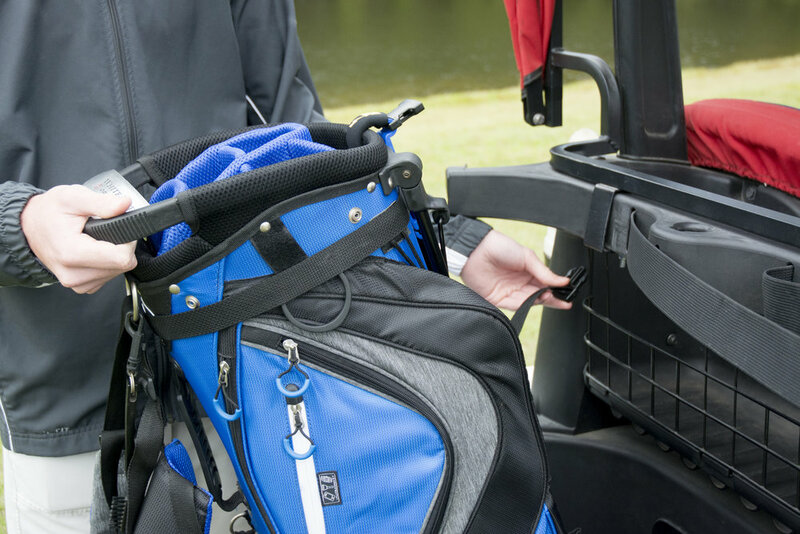 BagBolt replaces the cart strap and gives you TOTAL access to your towels, pockets and golf accessories.